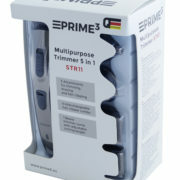 Multi-purpose trimmer is a must-have for every man that would like to cut back on hairdresser visits. 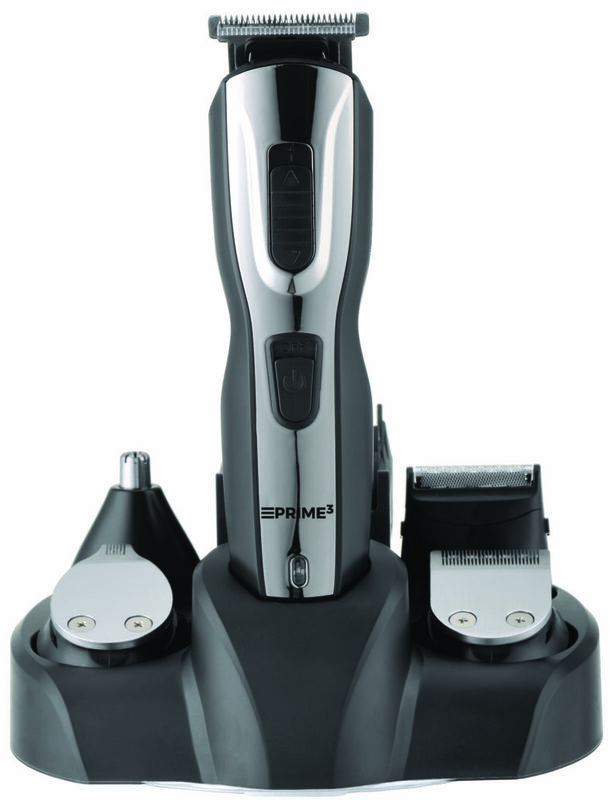 The device is enormously helpful when it comes to styling hair or beard. 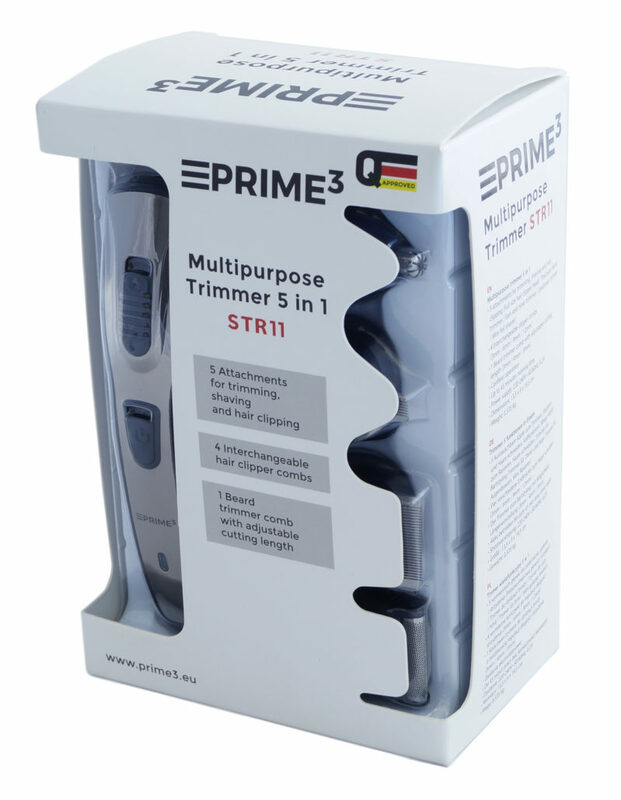 In order to meet customer expectations, PRIME3 brand decided to design multi-purpose trimmer STR11, thanks to five interchangeable attachments for shaving, trimming and hair clipping, it will easily tackle unruly beard or hair. Whenever you want to achieve a desired hairstyle, four interchangeable clipper combs (3mm, 6mm, 9mm, 12mm) will turn out to be irreplaceable. 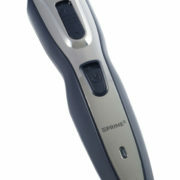 Whenever you need to shape your beard, a beard trimmer comb with adjustable cutting length (3-5mm) will come in handy. 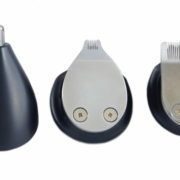 The set also contains ears and nose trimmer, eyebrows trimmer and mini foil shaver. 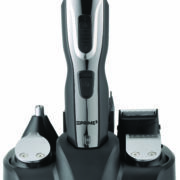 All of the above comprises a fully equipped grooming set. 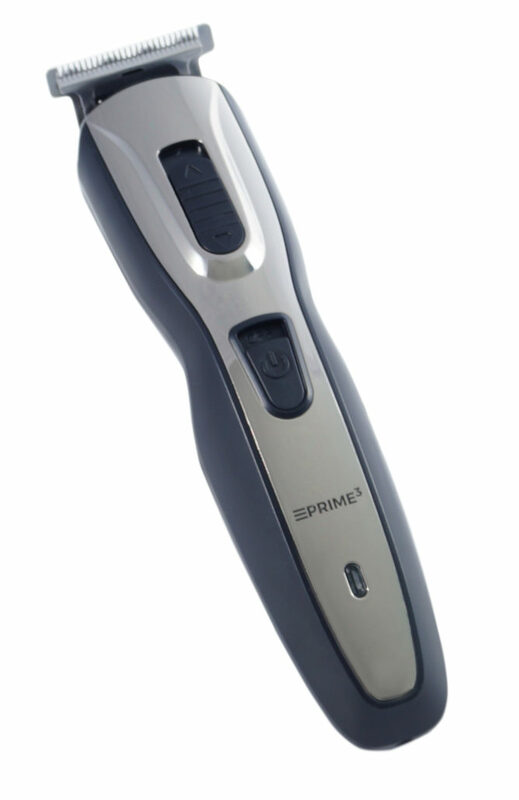 A high quality nickel-metal hydride rechargeable battery without memory effect allows for up to 45 minutes running time, which is a sufficient time to take care of your appearance. Lightweight and stable stand that allows keeping the device and all accessories in one place contribute to overall comfort of use. Take care of your appearance, starting from today!